Following an announcement in May 2016 that NHS England would be developing a personal health budgets model for the provision of wheelchairs, five sites across the country have been leading work to trial ‘personal wheelchair budgets’. In this blog, programme lead Kate Buffery talks about the opportunity this scheme presents to improve wheelchair services and change the relationship between patients and health professionals. This feels like a really exciting time to be working within the health system, and there are fundamental shifts happening all around that are exploring how care and support will need to change to meet rising demand and more complex needs. This is most clearly articulated in the recent Next steps on the Five Year Forward View. During my 20 year career in the NHS, both in community services as a provider and commissioner, there has been a shift from designing services that are measured on numbers of interventions, to services where we ask what value they add to people who access the service. There’s been a shift in discourse that most people will now recognise, from ‘what is the matter with you?’ to ‘what matters to you?’ We call this outcome-based commissioning and it’s now widely recognised as the most effective way of designing services to meet people’s needs. In wheelchair services, this means recognising the impact that the right wheelchair has on people’s lives, and how it is vital to people’s independence. The personal wheelchair budget model, being rolled out from this month is designed to deliver individuals’ identified outcomes, by supporting people and health professionals to work together more effectively to identify a) what people’s health and wellbeing ‘goals’ are and b) how someone’s wheelchair can support them to be as independent as possible and meet those goals. Whilst these changes in services are being driven by changes from the top down, we’re also seeing movement at patient level, from the bottom up, supporting different conversations and driving integrated services around individuals. Only by listening to and acting upon what really matters to people, and what genuinely supports independence, can we effectively empower people to take charge of their own lives and health. The Personalisation and Choice Group at NHS England are driving this movement nationally by the upscale and mainstreaming of personal health budgets and Integrated Personal Commissioning. Personal wheelchair budgets are part of this drive and aim to support people who access NHS wheelchair services to have personalised assessments that focus on their whole needs. The model focuses on offering transparent conversations about what choices are available to people locally and working with people as equal partners to make decisions about how their needs are met. Ultimately it’s about empowerment so people can make meaningful choices and take control of their personal wheelchair budget, working with clinicians to choose how they use it. Importantly, personal wheelchair budgets are about supporting individuals to have a level of choice and control that they feel comfortable with. This may mean using the personal wheelchair budget within the NHS range available locally, contributing to the budget to enhance what is available from the NHS, or choosing to use the personal wheelchair budget to purchase from an independent provider. We know that by using resources more effectively within the system there is potential to improve outcomes for people who access wheelchair services. The personal wheelchair budget model does not provide more money into the system, but the framework being developed is designed to support clinical commissioning groups (CCGs) to reduce duplication and utilise resources better in order to make wheelchair budgets available. And we’re starting to see examples emerging of the impact this is having, including in Gloucestershire where personal wheelchair budgets are already making a difference to people’s lives. I would say Gloucestershire services as a whole have been more (about) treating the person as an individual and looking at everything surrounding them. It’s been a lot more open and inclusive of your whole life, rather than what’s wrong at that moment. Neil Francis, personal wheelchair budget holder. The hope for this work is that CCGs will develop more opportunities for integrating services around individuals, so that people have wheelchair assessments as part of wider assessments with other agencies, and wheelchairs are seen as a key enabler for people to maximise their independence. Wheelchair prescriptions should also support outcomes identified in wider care planning, for example in Education, Health and Care Plans, or as part of wider social care needs. Agencies should work together to enable access to wheelchair prescriptions that meet people’s identified health and wellbeing outcomes and increase independence, therefore potentially reducing statutory support in other areas. You can keep up to date with the latest progress in this developing area of work on the NHS England website, Twitter, via email and if you’re a professional working in the NHS or local government, by joining the personal health budget learning network. Kate Buffery is Senior Programme Manager (NHS England) for personal wheelchair budgets. Kate originally qualified as a Registered Nurse and has 20 years’ experience working in the NHS. Kate spent the majority of her nursing career working in the community as a District Nurse, before moving into Commissioning. 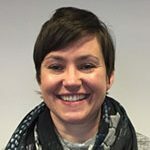 Kate has commissioning experience within Continuing Healthcare, urgent care and health and social care, and before coming into the team Kate held a varied portfolio of community services which included commissioning wheelchair services.